Excess nitrogen is a forceful agent of ecological change in coastal waters, and wastewater is a prominent source of nitrogen. In catchments where multiple sources of nitrogen pollution co-exist, biological indicators are needed to gauge the degree to which wastewater-N can propagate through the receiving food webs. The purpose of this study was to test whether estuarine fish are suitable as indicators of sewage-N pollution. Fish were analysed from three estuaries within a 100-km strip on the Australian East Coast. The estuaries differ substantially in wastewater loading: (1) the Maroochy Estuary receives a large fraction of the local shire’s treated sewage, (2) the Mooloolah Estuary has no licensed treated wastewater outfalls but marinas/harbours and stormwater may contribute nitrogen, and (3) the Noosa Estuary which neither receives licensed discharges nor has suspected wastewater loads. Sampling for fish included both high rainfall (‘wet’ season) and low rainfall (‘dry’ season) periods. Muscle-δ15N was the variable predicted to respond to treated wastewater loading, reflecting the relative enrichment in 15N resulting from the treatment process and distinguishing it from alternative N sources such as fertiliser and natural nitrogen inputs (both 15N-depleted). Of the 19 fish species occurring in all three estuaries, those from the Maroochy Estuary had significantly elevated δ15N values (up to 9.9‰), and inter-estuarine differences in fish-δ15N were consistent across seasons. Furthermore, not only did all fish from the estuary receiving treated wastewater carry a very distinctive sewage-N tissue signal, but enriched muscle-δ15N was also evident in all species sampled from the one estuary in which sewage contamination was previously only suspected (i.e. the Mooloolah Estuary: 0.2–4.8‰ enrichment over fish from reference system). Thus, fish-δ15N is a suitable indicator of wastewater-N not only in systems that receive large loads, but also for the detection of more subtle nitrogen inputs. 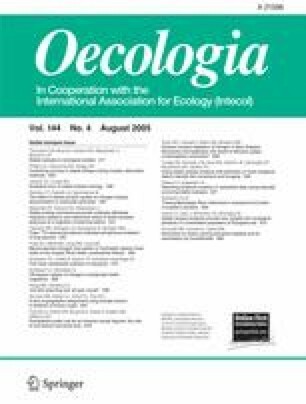 Arguably, fish may be preferred indicators of sewage-N contamination because they: (1) integrate nitrogen inputs over long time periods, (2) have an element of ‘ecological relevance’ because fish muscle-δ15N reflect movement of sewage-N through the food chain, and (3) pollution assessments can usually be based on evidence from multiple species. This project was funded by the Moreton Bay Waterways and Catchments Partnership and carried out under the University of the Sunshine Coast’s Animal Care and Ethics Approval# AN/A/01/10R.